Plot After India wins gold at the Berlin Olympics, India is torn apart by various historical events, which leaves the hockey-playing country shattered. After the events, British India hockey team manager decides it’s time to start anew and gathers players, with individual personalities to form a team, which will beat the Britishers on their home field, as the nation heralds a new era of Independence. Period films are not easy to make. They require minute attention to detail, right from recreating the era gone by, to the props, to the get-up, to the set up, et al. Combine it with sports and the results are not always what the director wants them to be like. Of course, the legendary ‘Lagaan’ was an exception, but not many period films or sports films manage to get it spot on. 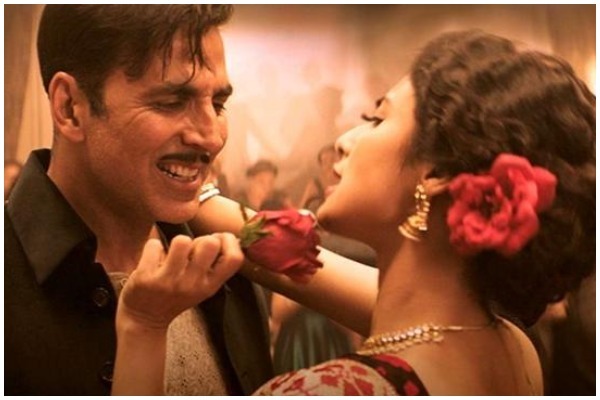 Reema Kagti, who has two acclaimed movies – ‘Honeymoon Travels Pvt Ltd’ and ‘Talaash’ to her credit, wields the baton for Akshay Kumar-starrer ‘Gold’ this Independence Day and nails it yet again. India is ruled by firangis; however, the country is adept at playing the game of hockey ever since. In 1936, at the Berlin Olympics, we see British India hockey team manager Tapan Das (Akshay Kumar) cheering his boys. For him, his country comes first and he does not bow down to the Chancellor of Germany nor shouts out ‘Heil Hitler’ in the sports arena like the others. An engrossing match follows, where the host nation is sent packing by the Indians. Charged with the triumph, Das pledges his team will bring back a medal again, when India will be a free state. Post the win, World War II, Quit India Movement and The Partition tear the team apart and leave the players distraught. The team that brought home gold is disbanded, with many of the athletes lost in oblivion. As the nation is closing in towards a new era of independence, Das takes it upon himself to round-up players and form a hockey team, which will take on the Britishers on their own soil. He brings together men from diverse fields and decides to pit them against the goras and beat them at their game. But the team comes with its own set of problems. Himmat Singh (Sunny Kaushal) has a bad temper, but he is the turup ka ikka. Raghubir Pratap Singh (Amit Sadh) is the snooty thakur, who would only play centre forward, thus creating a rift between him and Himmat. Imtiaz Shah (Vineet Kumar Singh), the Muslim vice captain has his own demons to tackle along with his fight for freedom, while Samrat (Kunal Kapoor), captain of the former team has now turned mentor, yet is dealing with his past failures. As the team wavers from its goal, Das makes sure he pulls their strings right and get home the gold, as India is freed from all clutches. ‘Gold’ is a fictionalized account of a true event that had happened way back in 1936, long before India got her independence from the British Raj. Reema Kagti spins a tale around this particular event, adding a lot of drama, patriotism and heroism to it to make it more convincing. The film has its fair share of ups and downs but it does not bore you in any way. Right from the word go, ‘Gold’ cries patriotism out loud without making it very obvious and that is exactly what a movie inciting such a feeling is meant to do. You sympathize with the players when they deal with their personal issues and you jump up in joy when they keep aside their differences and play as one. There are a few scenes, which strongly remind you of ‘Chak De! India’ and ‘Lagaan’, but the taut story makes you get over the déjà vu. The second half keeps your adrenaline pumping and culminates into a nail-biting finish, which is quite predictable, yet it has you in tears of joy! Akshay Kumar as the Bengali babu is in top form. Though he falters in places with his accent, he gets his act straight. He drives the film on his shoulders and his team supports him well. Mouni Roy marks her debut with the movie, but the ‘Naagin’ actress in the role of Akshay’s wife, does not come across as a newbie. Amit Sadh is brilliant as the snobbish brat. Sunny Kaushal’s aggressive Himmat Singh is effective and he plays out his part well. Kunal Kapoor gives solid competition to Akshay Kumar with his mature acting. Technically the film is good. The screenplay is smooth and the cinematography is wonderful. Full marks to Alvaro Gutierrez for bringing Colonial India back to life. The background score is pleasing, only for the songs, which do not seem to fit in a sports-based film. A stricter editing could have pepped up the pace of the movie, especially the first half, which is a little high on history. To sum it up, ‘Gold’ manages to invoke a feeling of patriotism and also does justice to the historical sports drama genre. It glitters all the way! A must watch.